Although I fully expected Texas Roadside Massacre to be derivative, there is no real excuse for just how unimaginative and lazy the finished product is. Any filmmaker who simply steals the rudimentary plot of a very famous horror film should at least play with that established structure, or use the viewer's presumed familiarity with the story as a springboard. 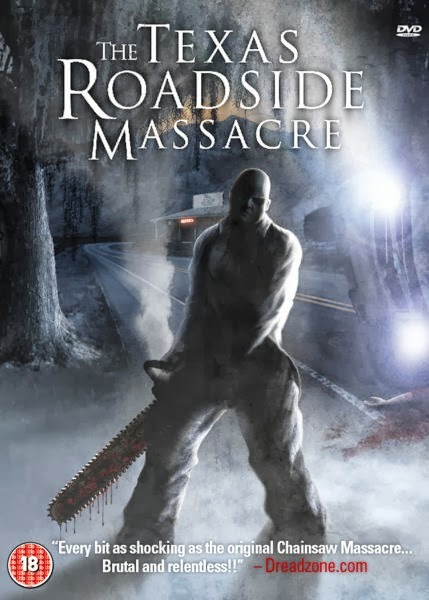 Rather than amplifying the original Chainsaw's events, Texas Roadside Massacre takes a step down from even the most recent (and notably weak) Chainsaw sequel, leaving the viewer with the impression that the filmmakers lack the creativity, skill, budget or audacity to manufacture anything better There are numerous other Chainsaw homages such as Carver that are more entertaining than this mediocre dross. A sad affair from start to finish, Texas Roadside Massacre is one to avoid.